Creating beautiful, straight smiles might be serious business, but at Top NoVa Orthodontics, we want to make it a lot of fun! The nickel titanium in some brace wire was developed by NASA with shape memory properties (meaning it keeps its shape) that are activated by body heat and pressure. Most of the cements in our office used to attach brackets to your teeth include a fluoride-releasing substance. 100% of all orthodontists are dentists. About 6% of all dentists are orthodontists. Did you know nearly 25% of orthodontic patients have to get braces again because they didn’t wear their retainers! Don’t be one of them! 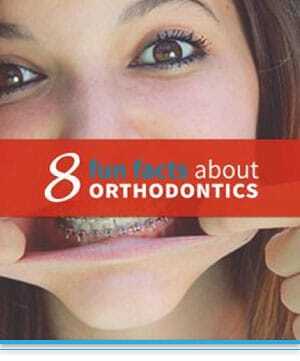 Almost one third of orthodontic patients are adults. These days, more and more adults are seeking orthodontic treatment to improve their smiles. Treatment options range from Clear brackets to Invisalign. Which one is right for you? The American Association of Orthodontists recommends that every child be seen for a orthodontic evaluation by the age of 7.